Doctor of Science in Economics, member of the Board of Directors of Best Place – European Place Marketing Institute, Adjunct Professor at the University of Warsaw (Faculty of Economic Sciences), Poland. He lectures marketing, place marketing, marketing research, strategic analysis, management and place competitiveness. 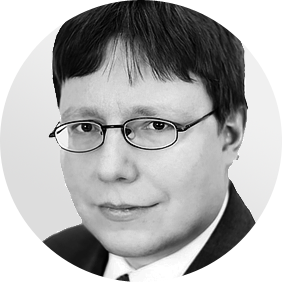 Advisor to the president for the Foundation of Polish Promotional Emblem (which organizes most recognized contest for best Polish products and services – since 1993), expert for the Sobieski Institute (Polish think-tank), member of the Polish Economist Society. Initiator and lecturer of the first place marketing postgraduate studies at the University of Warsaw as well as the competition “Teraz Polska Promocja”(Polish Promotion Now) for the best MA thesis regarding the promotion of Poland. A coach and a consultant, advisor and place marketing trainer for the employees of the local government. Author of several scientific publications, conference speaker and expert commentator. He specializes in place marketing and place competitiveness, taking into account the significance of place endowments such as cultural heritage. Dr Jarosław Górski has gained experience in place branding and marketing for cities and regions as a member of research and project teams in Poland. Dr Górski did research on countries’ and regions’ competitiveness, influence of globalisation on places, European integration and eurozone, place promotion and consumer ethnocentrism.